BLAZER, SILK BLOUSE, PANTS, BAG, EARRINGS (sold out, but I love these): (c/o) Marks and Spencer Some people wear all-white Labor Day weekend. Some people wear all-pink Labor Day weekend. Guess which person I am? [Photography by Gen Street Style] LINEN TEE, PANTS, SANDALS, NECKLACE, EARRINGS, RINGS, SUNNIES, CLUTCH: (c/o) Ann Taylor Wow. It’s been a hot (literally) second. 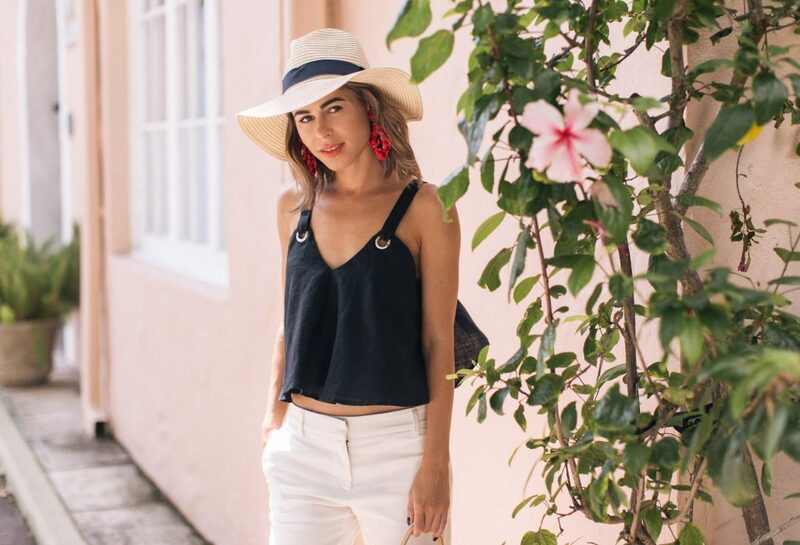 #hellosummer I can’t believe my last outfit entry on the blog was like nearly two weeks ago….